On June 6, 2017, under the presidency of His Holiness Karekin II, Supreme Patriarch and Catholicos of All Armenians, the 6th Armenian Church Representative Assembly commenced a four day meeting in the Mother See of Holy Etchmiadzin. The meeting is being attended by Bishops of the Mother See and the Hierarchal Sees, Primates of the Dioceses of Armenia and Diaspora, Locum Tenens, Pontifical Delegations, members of the Supreme Spiritual Council, elected clergy and lay representatives from the Hierarchal Sees, Pontifical Delegations and Dioceses around the world. 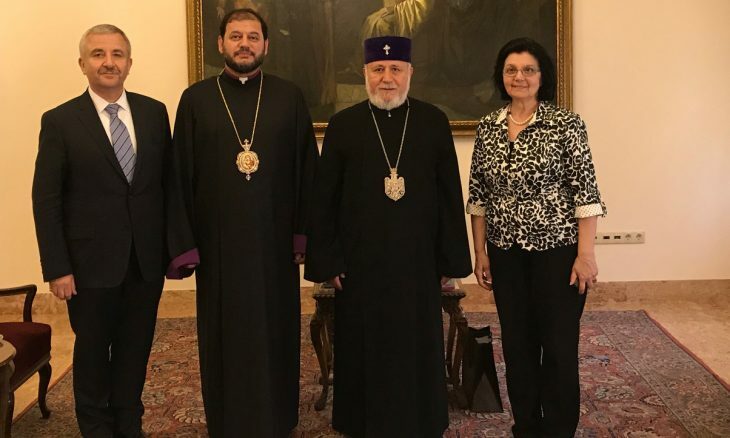 A delegation of the Armenian Diocese of Canada, headed by His Grace Bishop Abgar Hovakimyan, Primate, including Mrs. Apet Alpay, Diocesan Council Chair, and Mr. Ohan Ohanessian, Diocesan Council Vice-Chair, has travelled to the Mother See of Holy Etchmiadzin – the spiritual center of all Armenians, to represent the Armenian Diocese of Canada at the Assembly.